When I was first asked if I would consider starting a new church, my first response "NO." My response was based on the fact that we already had numerous churches in our area. The need that I perceived was not that we needed more churches, but the churches we had needed to be healthier. As time went on and others encouraged me to think about starting a new work, I knew that it would have to be something different. I began to write down the CORE values that had been bouncing around in my head for many years (you can see the list at the end of my blog post, "Inside, Outside, Upside-Down"). Around that time a new word starting to be thrown around in church leadership circles was "missional." While there are various ideas of the meaning of the word, there is even more variety in how the concept is implemented in churches. 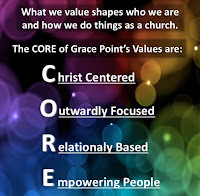 However, it seemed like a word that fit the CORE values that I was beginning to embrace for a new church. To try to define the concept I began to ask, "what would it look like if a local church acted like missionaries in its home area?" The starting point was with the fact that God is on a Mission. God acts with purpose and planning to bring worshipers to himself (Ephesians 1). He came to us as the person of Jesus Christ to serve humanity. While sacrificially giving of himself, Jesus unashamedly pointed to himself as the only way to have a right relationship with God the Father. The purpose of the Church flows from this mission that God is on. We are called to be on the same mission; to go and share the love and message of Christ so that others may follow and worship God. 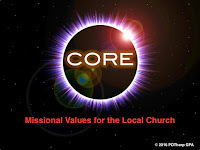 From this point I began to formulate our list of CORE values for a local church that thinks and acts as missionaries in our local area, and in our global ministry as well. 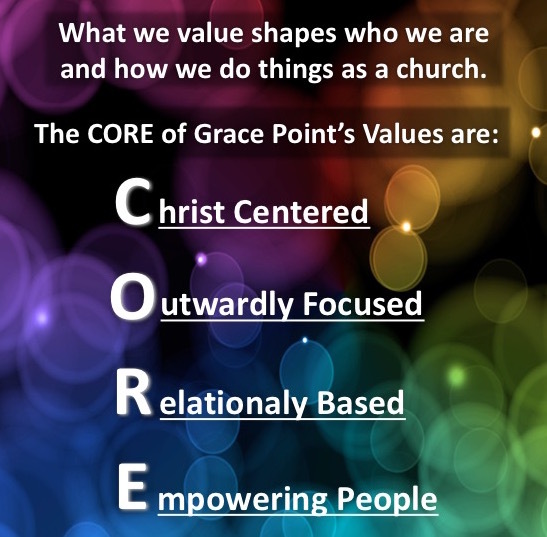 The resulting list of our 9 CORE Values had to be Christ Centered, Outwardly Focused, Relationally Based, and Empowering the people to grow and go as God directs us. The perspective these values provide has led us to focus more on our ministry outside of our building, rather than how many we can get inside. It has allowed us to be very ethnically and economically diverse and representative of our community. It has moved us to connect and partner with other churches, ministries, non-profit organizations, schools and businesses in our city. 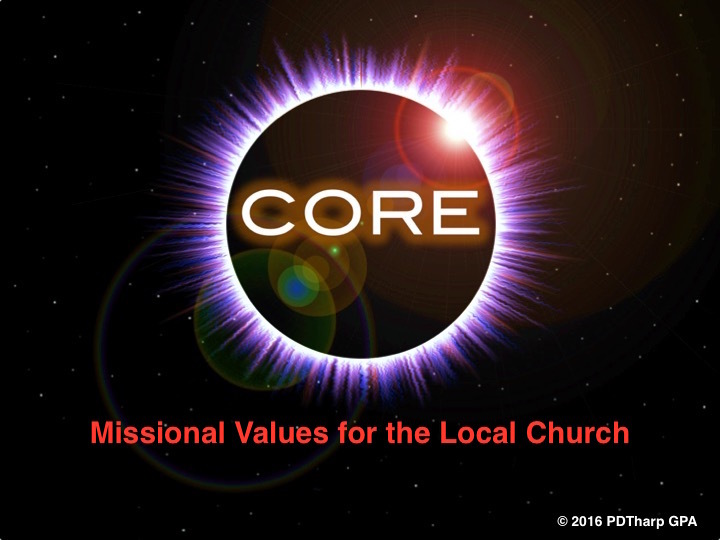 These CORE values are developing us into a ministry that goes out into the streets and around the world to serve others and share Christ in unique ways. Check out our CORE Values. What do you think? What would it look like if your church approached ministry with these values in mind? Grace Point Church is a Christian and Missionary Alliance Church in Buffalo, NY. Pastor Patrick Tharp and Pastor Mouhannad Moses co-pastor this ethnically and economically diverse church that seeks to have a local impact through a global perspective of Christ's Church.